As Dassault rolls out its Falcon 5X business jet today in Bordeaux, France, CAE is preparing its program as the exclusive Dassault-Approved Training Provider (DATP). As DATP, CAE will provide advanced pilot, maintenance and cabin crew training for the new Falcon 5X long-range business jet. CAE will work closely with Dassault to determine the best initial location for deployment of training services based on customer demand. Additional deployments are also planned to support the growth of the Falcon 5X aircraft fleet. 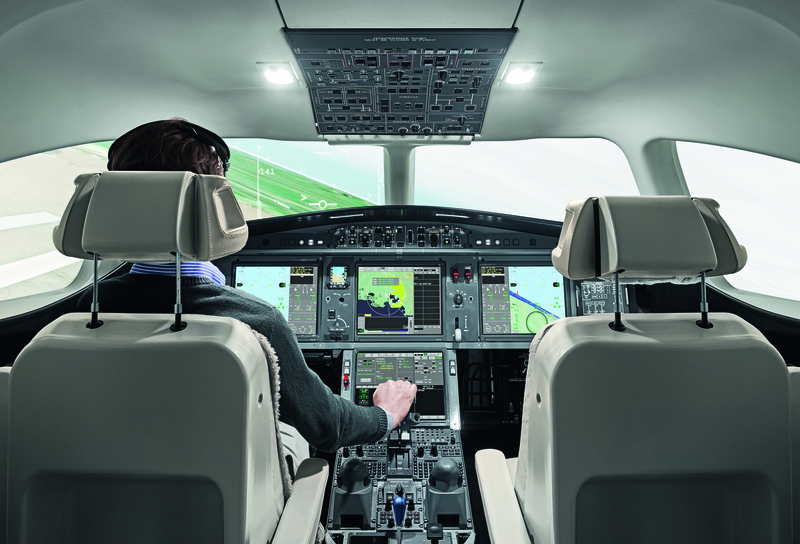 As a factory-approved training provider for Dassault Falcon, CAE already delivers Falcon training around the world for the 7X, 2000, 2000 EX/EASy I & II, 2000S, 2000LX, 2000LXS, 900, 900B, 900 EX, 900 EX/EASy I & II, 50, 50EX, and 10. "CAE is very proud to be part of the innovative, new Falcon 5X aircraft program as the exclusive approved training partner and to support the entry-to-service of the 5X," said CAE's President and CEO Marc Parent at the roll-out event. "We will offer Dassault operators the most advanced training solutions for the Falcon 5X, as well as a customer-focused approach and a global training center network." CAE is developing the courseware for pilots, maintenance technician and cabin crew in close collaboration with Dassault. Training will be delivered using state-of-the-art tools. Falcon 5X pilots will have access to an immersive flight training experience in CAE's latest generation simulator, the CAE 7000XR Series, equipped with the CAE Tropos 6000XR visual system, which offers extreme realism. CAE will also utilize its leading edge CAE Simfinity training tools to provide a seamless, realistic and fully integrated training experience. Leveraging the latest advancements in technology and training capabilities, the CAE 7000XR Series full-flight simulator features a re-designed instructor office with support for mobile devices and real-time data analysis and feedback, and a CAE Flightscape Insight™ debriefing station equipped with a Simulator Operational Quality Assurance (SOQA) system to assess training effectiveness.